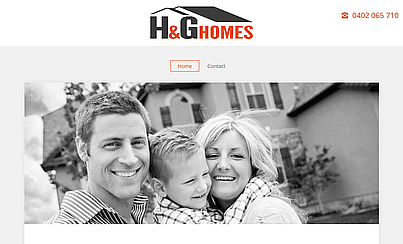 H & G Homes. A new builder with a lot of experience. Having worked for other builders for many years, the owners of H & G Homes know what makes clients happy... and what doesn't. H & G build your home to your expectations, at the price quoted. Everything is complete. All you need to do is move in.